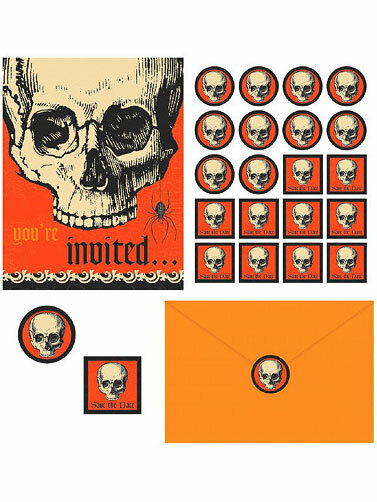 Be Afraid, Be Very Afraid is the message delivered on these spooky Halloween party invitations. 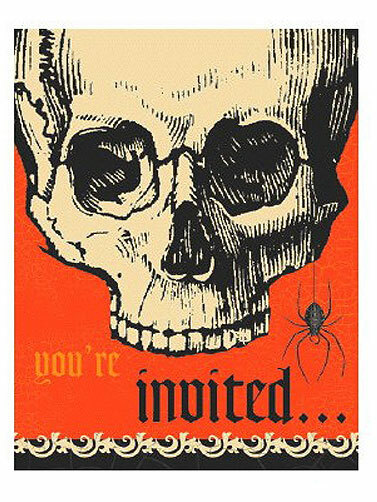 Invitation features a skull with a dangling spider with the words "You're Invited" on the front. Party information is written on the back. Value packed, package includes: 20 Seals, 20 Envelopes, 20 Postcard Invitations, and 20 Save-the-Date Stickers. Be Afraid Party Invitations measure 6.25" x 4.25". 20 ct.